While playing around with shirring and trying to figure out a way I could incorporate the technique into a quilt I was also looking at my next block for my Dressed for Dinner quilt. I realized that the pineapple in that next block could use some dimension. 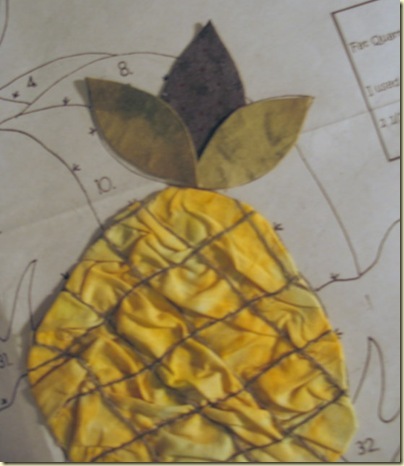 I had a photo of a pineapple that I kept in front of me as inspiration and I had the layout sketch from the instruction packet for the Dressed for Dinner kit. So I cut a block of fabric 1 1/2 times larger than the layout size for slight fullness. I sketched lines in a diamond pattern on the fabric. I gathered the fabric first one direction and then the other direction. 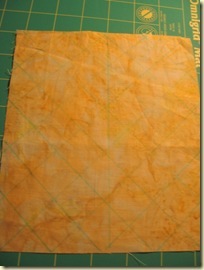 I stabilized the gathering by stitching it to an interfacing and then I turned the edges. 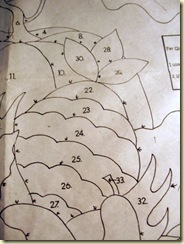 And it is ready to appliqué to my block. I am anxious to see how it looks with all of the other images in the block. There are a few pieces that must overlay over the pineapple. It will be interesting to see how that works. 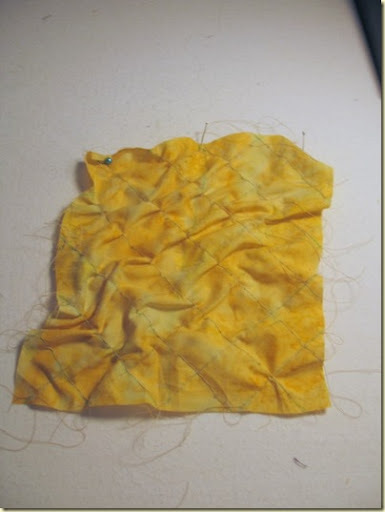 Have you thought of any ways to use shirring in a quilt? Please tell us about it in the comment section if you have! What a great idea. I have a work in progress that this would really enhance.